A 2.3-magnitude earthquake hit the Maryville area recently, and people are worrying if all these quakes we've seen recently are pointing to the possibility of a larger earthquake. Earthquakes continue to happen in East Tennessee and just to the southeast of the region -- most recently in Maryville where a 2.3-magnitude quake shook the region Monday. Far out west on the San Andreas Fault Line, plates crash into each other and sometimes cause devastating earthquakes, but here in East Tennessee it's not as easy to detect the cause. "Here in the Eastern United States, we do not know exactly why we have earthquakes here at all," geologist Dr. Robert Hatcher said. 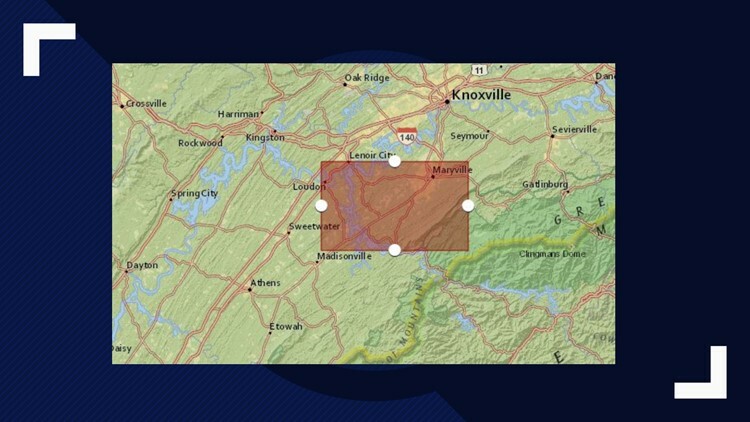 In East Tennessee, Blount, Monroe and Loudon counties are the areas where the most earthquakes tend to occur. In 2018, eight earthquakes hit in the highlighted area below from the beginning of the year to mid-March. So far, we have seen two more reported earthquakes than at this point last year. So will they just keep increasing as time goes on? "No, they could die off and we have nothing for five years," Hatcher said. Hatcher said people could just be more aware of these earthquakes because they are listening for them. Remember all those unexplained loud booms across the area? He believes seismic activity could be one of the main culprits. "Energy is caused by movement by a fault and that fault is creating noise," Hatcher said. He said at one point they thought collapsing caves were to blame for the sound, but that theory wasn't supported by any evidence. "A 5.0-magnitude earthquake releases more energy than all the earthquakes we've had in the last year," Hatcher said. If we were experiencing consistent magnitude 4 or higher quakes, that would not be normal for our area. If you're thinking that a magnitude 4 isn't much bigger than a 2, though, there's a big difference. From magnitude 2 to 3, there's 30 times the amount of energy released. And from 2 to 4, it's 900 times the energy released. "We don't have any idea of their predictability. We might have a swarm of earthquakes and then they die away for a while," Hatcher said. He said the rain doesn't have anything to do with it, either. It's just the random occurrence of earthquakes over time.